I’ve been entering all my old ZX Spectrum games and software into a database. Whilst doing this I noticed something a bit odd. One of the games I own is called Kikstart 2. 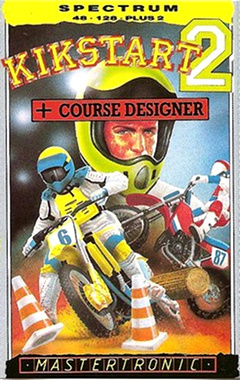 It’s a motorcycle trials riding game, almost certainly inspired by the BBC TV show Kick Start, albeit with a spelling change to avoid having to pay licencing fees. I particularly liked this game as a child, possibly because it included a course designer which allowed you to make your own courses, which I enjoyed doing. I’m a big fan of people who are really skilled at something – especially if that skill has no real-world applications. 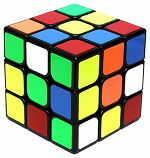 Cup stacking, flatland BMX, remembering digits of Pi, etc. It takes a certain kind of person to dedicate so much time to mastering something which serves no real purpose. Recently, I’ve seen numerous videos on Youtube of people solving Rubik’s Cubes in really quite spectacularly short lengths of time, sometimes even blindfolded! Recently, I’ve been sorting my retro-gaming collection a bit. Specifically, I’ve gone through all my ZX Spectrum games, seeing if all the tapes/inlays/boxes/etc. match up. Also, I’ve been checking the games against the comprehensive World Of Spectrum online database, just to see if I have anything interesting or as-yet undocumented. As it turns out, I do have something of interest: I happen to own a copy of the lowest-rated game in the entire database. You might think that in order for a game to be the lowest-rated – especially from an era when there were some really terrifyingly crap games released – it would have to be something a bit special.